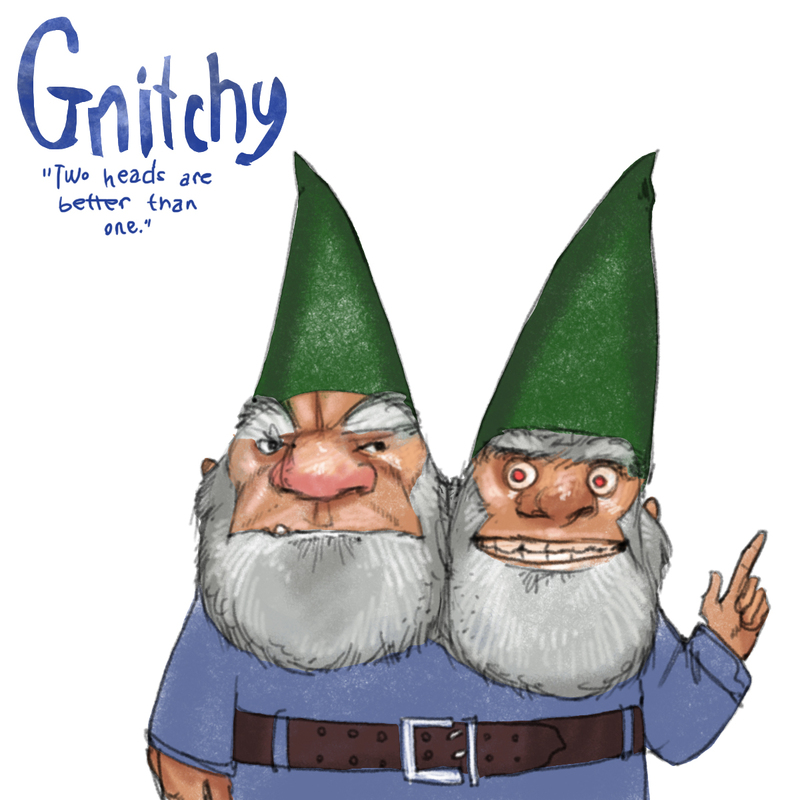 Gnome #19, brought to you by John Deininger, is "Gnitchy! Two heads are better than one." Which head would you rather be stuck with? I was wondering how you would draw this one... The head on the right (his left) is terrifying. Someone's had too much sugar! They are both equally scary. Crazy hyper psycho and super cranky. The red eyes really freak me out. hehe - you've captured IT perfect (the oddity)! You are a magician, Nate - love all these characters you are doing!